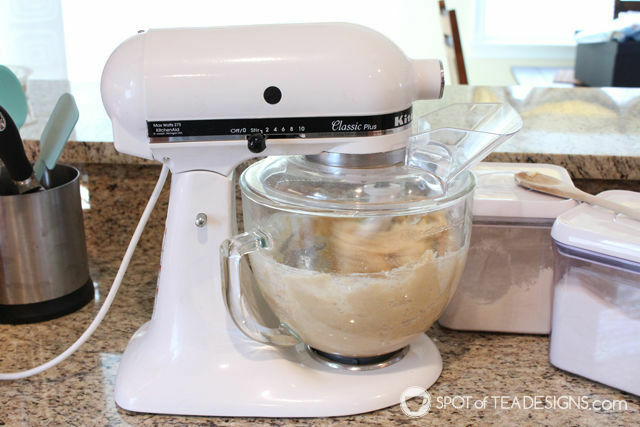 This time last year I shared my 2014 Holiday Gift Guide which included gift ideas for different people in your life: the blogger, the chef, him, her, and kids. 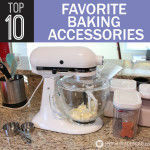 I like sharing the great products our family ACTUALLY enjoys and not just things which are pushed by brands, like you’ll see on many gift guides this season. 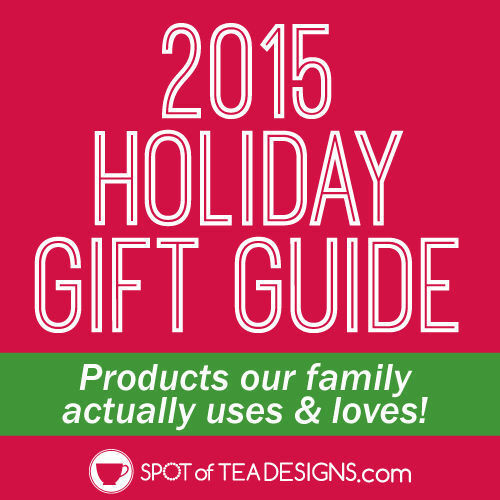 I’ve decided to make this a yearly tradition so today I give you my 2015 Holiday Gift Guide or REAL products that our family REALLY uses! 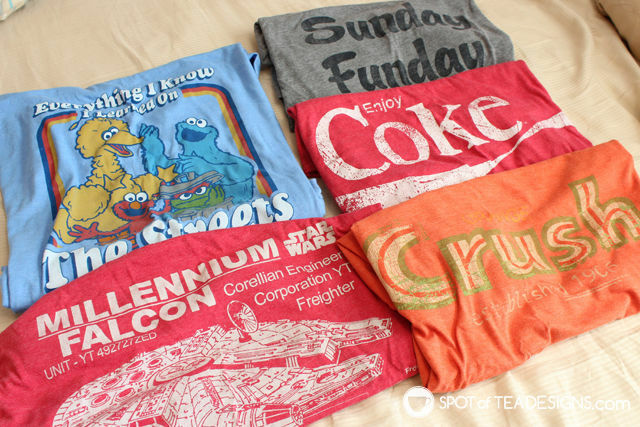 Super Soft Graphic Tees – If you have a slim fitting, soft t-shirt loving hubby like mine then you should definitely check out the selection of graphic t-shirts in the men’s department at Target, Old Navy or Kohls! He always high tails it that direction when we casually walk around these stores, finding the latest punny designs, “nerd” references, Star Wars designs or classic product logos on stretchy, soft t-shirts. Belkin Car Vent Mount for Smartphones – This one isn’t strictly a guy thing (as it’s actually on my wishlist this year) but Derek had it in his car so I’m keeping it here! You clip your phone onto this mount and can easily do the hands free thing to have a conversation or use it as a GPS! It’s adjustable so it works for both android or iphones! Rack-O – While we don’t have a lot of time to sit around and play board games, when we do, we break out the Rack-O! It’s a fun card game that is all about organizing things in order! If you someone in your life that loves organization or strategy games, get them Rack-O! Lit Vanity Mirror – Since we only have one full bathroom in the house I don’t have the luxury of applying my minimalist makeup in a well lit area. Instead I have a small desk/vanity set up that is currently in the dark corner of the bedroom. 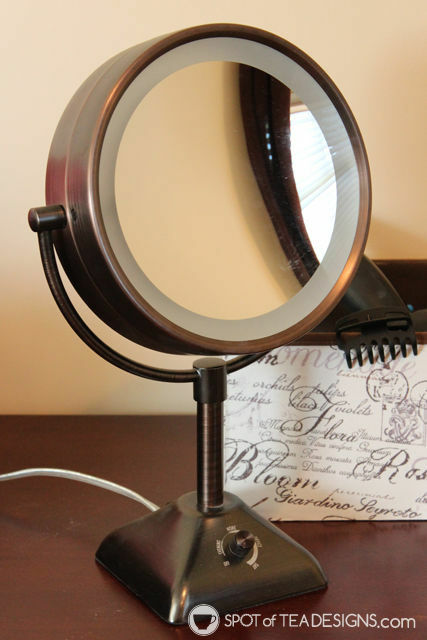 Luckily, I have my lit dual sided vanity mirror which allows me to apply makeup day or night or pluck my eyebrows with the magnifying mirror side. Infinity Scarves – You’ll find these pretty accessories in all the stores this season but some of my favs are found at Loft! These can be worn several different ways, both with a casual look or to dress up an outfit. I’m by no means a fashionista but have put good use to the few that I have in my closet! 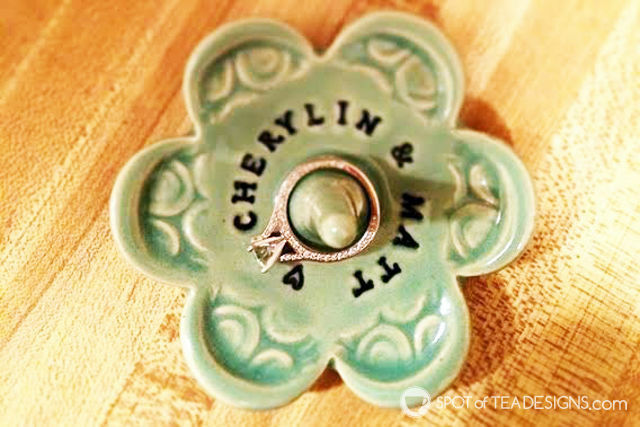 Personalized Ring Holder – Whether she’s newly engaged, married or just loves her sparkly rings, she’ll love a personalized ring holder for her vanity or bathroom. I gifted this one to my friend Cherylin from the Miss Pottery Etsy shop and as a buyer was completely satisfied with the shipping and quality of the piece! Fiskars 8 Inch Amplify Mixed Media Shears – This is a gift for the sewer/crafter or the wannabes of both categories! I’ve boasted about these scissors after creating my Quiet Book and the girls’ Halloween costumes, which were both felt based projects. I LOVE how smoothly these cut and am excited to see that they have a lifetime warranty! 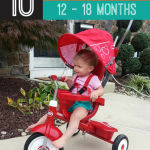 Parking Pal Magnet – Now that I am a mom of two, keeping both my girls safe, especially in a parking lot, is a priority. Trying to get a baby in and out of the car isn’t a fast process and having a toddler in tow makes it even more stressful. While we reiterate the importance of holding hands, we’ve also found the Parking Pal Magnet helpful for this situation. Ours is stationed to the left of the door on Hailey’s side of the car and Brielle knows to keep her hand over the hand design as I put Hailey inside. 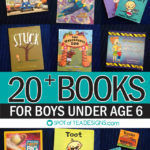 They have lots of different designs to play up the favorite icons of your little one. Get one for someone you know expecting #2! 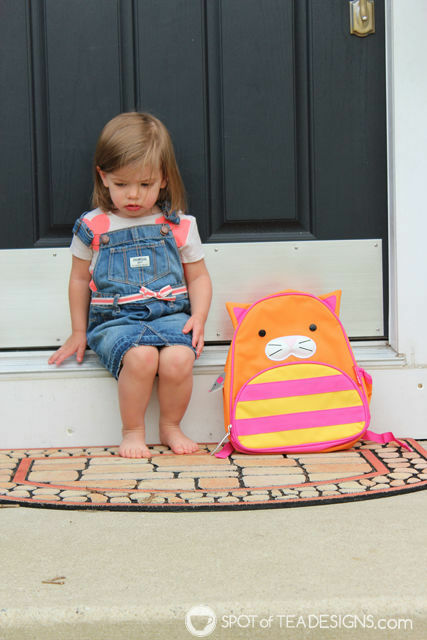 Character backpacks – Yes diaper bags are great for moms as they can store all the essential items needed for a day out. But once kids hit toddler age, it’s almost as important to have more entertainment/snacks than it is to have diapers and a change of clothes. For her birthday, Brielle received this Skip Hop Kitty Backpack from Gwenma and an Elmo themed one, both of which were well used since received! They are both usually packed with some forms of entertainment, snacks or crayons for entertainment while we’re out. 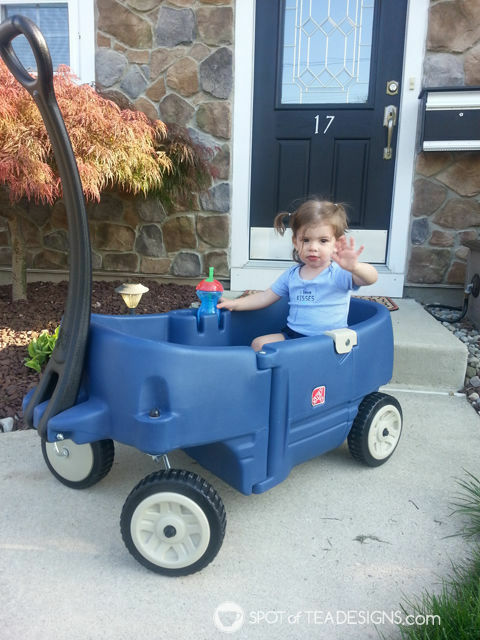 Magformers – Brielle doesn’t actually have a set of these (yet) but LOVES to play with them at her cousin’s house! These magnetic tiles are compact and would be great as a set to travel with in the car or on vacation. Kids at her cousin’s birthday party (which ranged from 2-5) all enjoyed building and creating different shapes with this colorful set! 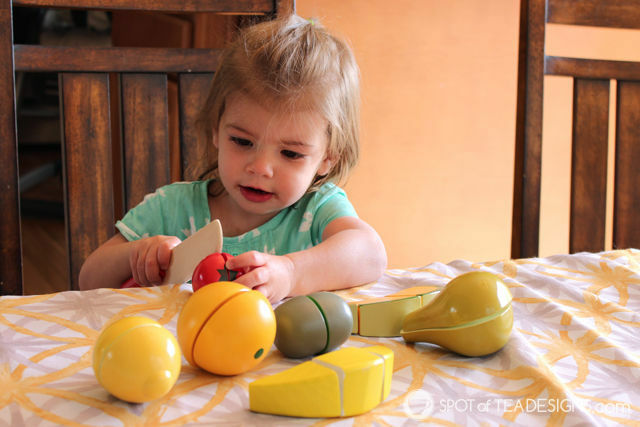 Melissa & Doug Cutting Fruit Set – Brielle received this for her 2nd birthday and enjoyed it from day one! Since she never gets to use a knife (or a “cut,” as she calls it) she loved that she was able to use one for this pretend play session. It also helped to teach her new fruits (I’ve never eaten a kiwi either!) and learn about symmetry and math when pairing together cut halves, thirds or even fourths. Spill-Proof WOW Cup – If you have a toddler who’s transitioning from a sippy cup to an open mouth cup, but you aren’t quite ready to let her bounce around the house with a cup full of milk or juice and no top, then try a WOW cup! Brielle has two and figured them out from the first sip. This cup is built in such a way that the top is closed so nothing can pour out but the child sips along the rim and is able to pull the liquid out from that area. Trust me that you’ll try it for yourself (Derek, my mom and myself all did it at one point) and you’ll see how it easy it is for the child to get a drink but how safe it will be for your rug or furniture! 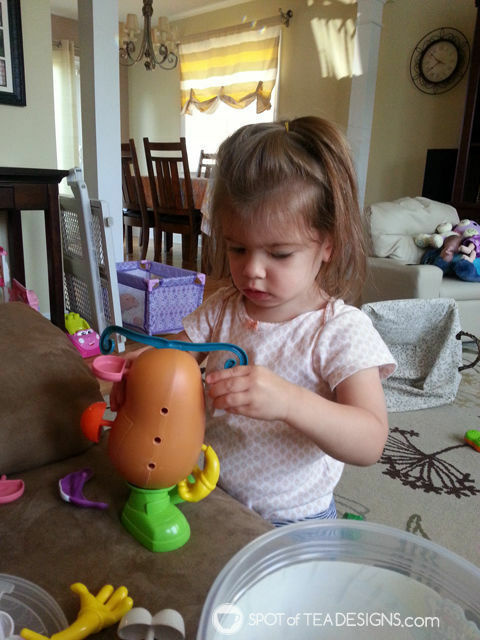 Playskool Mr.Potato Head Tater Tub Set – Thanks to her cousin Brinley, Brielle was a proud owner of a Mr. Potato Head set at her 2nd birthday. The concept of this classic toy is timeless: make a character by sticking body part pieces into the potato shape base. While Brielle does know all her body parts the concept of the Picasso style creative play is also fun, as you can see from the mustache being used as hair in the top photo. 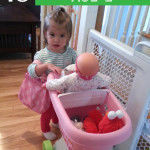 She loves to play with her “Tato head” and this mom loves that it came in its own bucket to keep the pieces together! VTech Kidizoom Camera – Even though the age range says 3+ Brielle was ready for this fun REAL camera just recently just a little over age 2. I shared on Instagram how obsessed she’s been with it since opening it, loving to “take pictures” and tell people “cheeeeeeeese!!! !” It’s a real digital camera so we can look through the pictures and see what she sees from her world. Backyard Toys – It might be winter but you’ll be craving the warmer weather sooner than later! 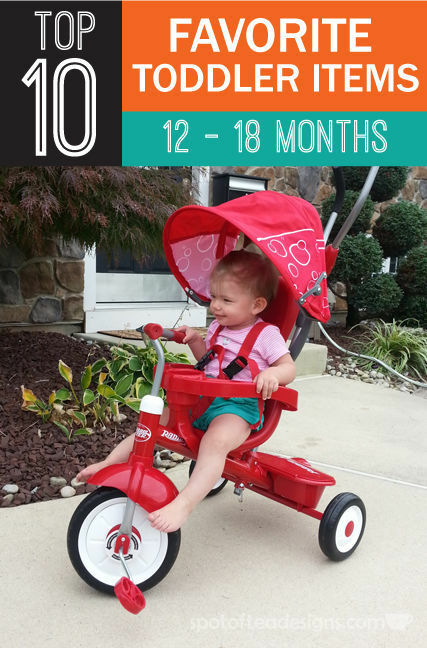 Check out this post showcasing 8 backyard toys Brielle loved, including our Fisher-Price Bubble Mower , Melissa & Doug Sprinkler , and Step2 Wagon for Two and get your little one ready for the soon to be warmer season.